Give yourself over to luxury, prestige, calm and cool with the amazing Amazon Aluminium Outdoor Sectional 2-Seater Center piece in attractive coal. This tremendous, chic design coupled with top of the line materials makes for a breadth of luxurious comfort. Part of the stunning Amazon Collection, this 2 Seater Loveseat without arms is both elegant and urban, stylish and comforting. The tone of this collection is modern, minimal, sharp and opulent. A linear framework built of aluminium, is powder coated to perfection and then iced with soft Sunbrella® cushions, a look that is groomed and tasteful as well as versatile and functional. This incredible Amazon 2 Seater Aluminium Loveseat is ideal on its own or as part of the wider 8 piece Amazon Sectional Collection. The perfect daybed, place the Amazon 2 Seater Outdoor Center in your modest space for the ultimate loveseat to sit back and rest in. Even off each end with an Amazon Corner or even just an attractive side table, compelling you to truly relax, rejuvenate and unwind in style. 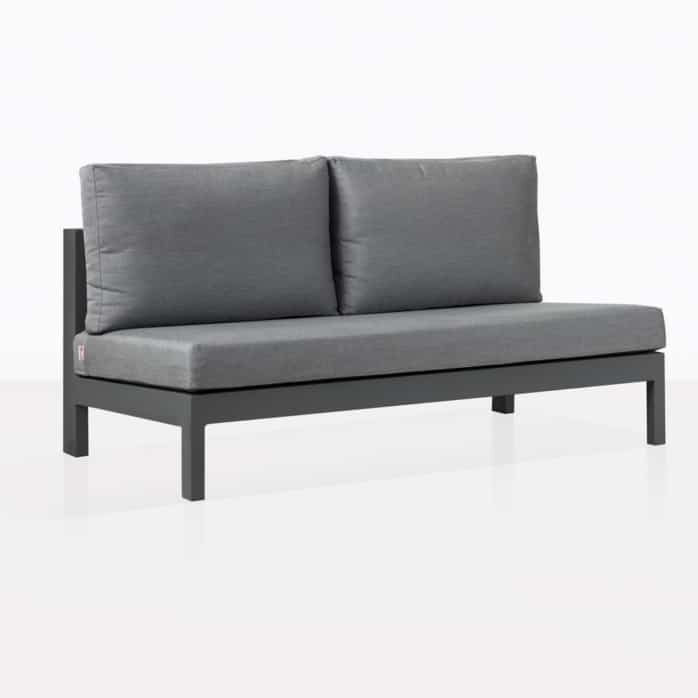 This incredible Amazon 2 Seater Aluminium Center is the ideal piece to fit in and extend your sectional suite. Place it in between your Left, Right or Corner pieces to really make the most of your environment and your space! 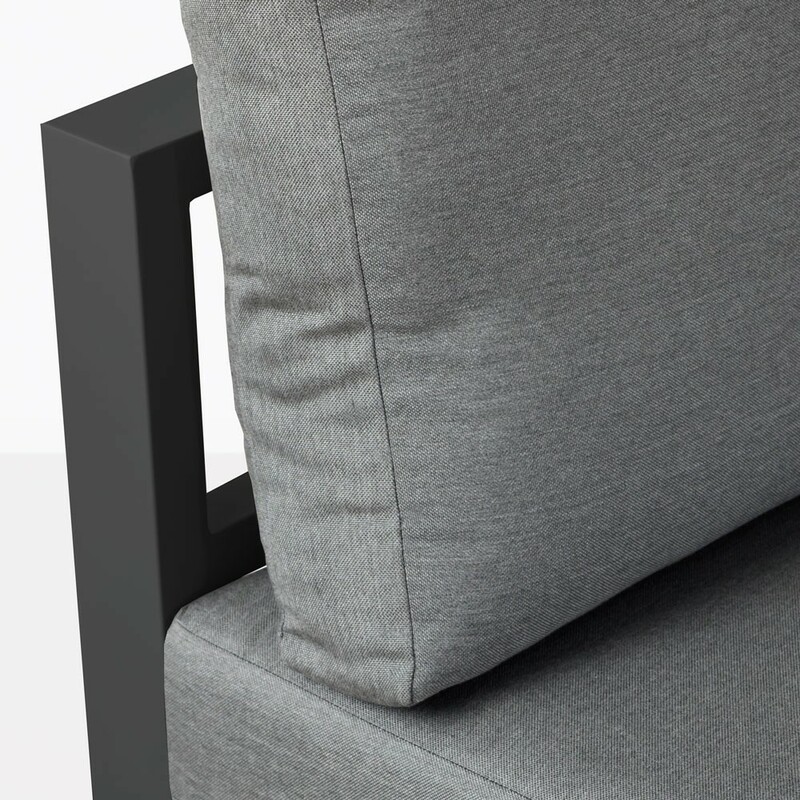 Built from incredible, attractive and robust powder coated aluminium and with free Sunbrella® cushions, this Amazon Loveseat will keep you in luxury for years to come. 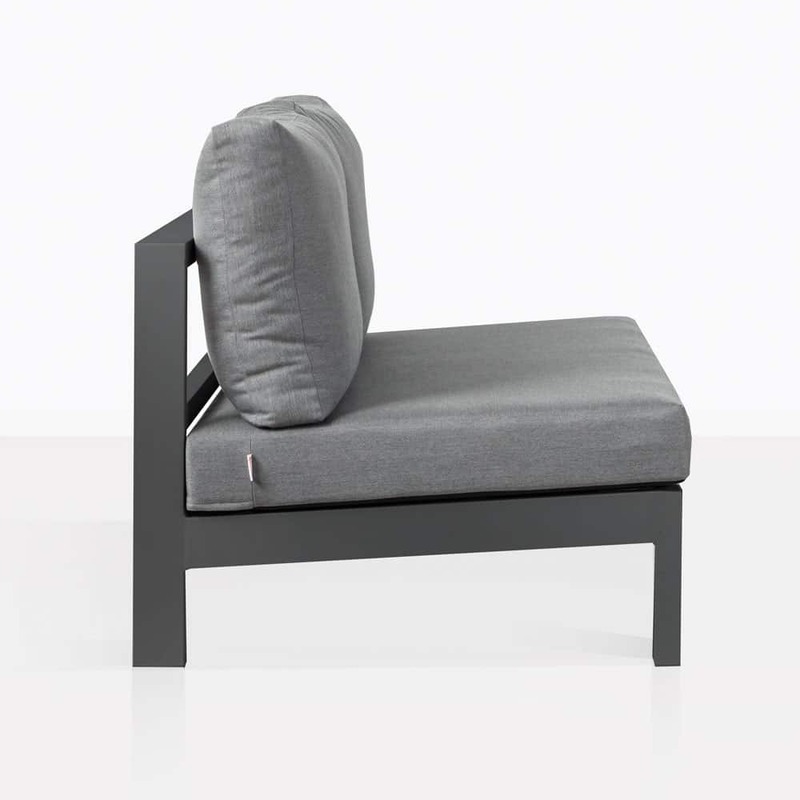 Minimal maintenance means that this furniture is a breeze! Choose from this attractive coal, or the striking white aluminium to cater to your space requirements. At Design Warehouse we have the most incredible range of outdoor furniture, from deep seating to dining, shading, relaxing and more! Call us today to involve us in turning your outdoor area into one of peace and luxury! Order your Amazon Outdoor Sectional 2 Seater today!